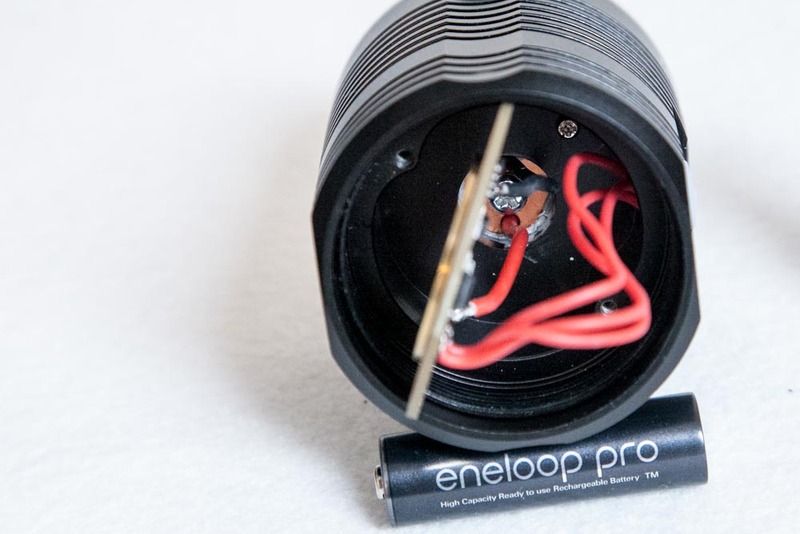 The BLF Q8 flashlight was another project put together by members of Budgetlightforum. Ever since the infamous SkyRay King became available the budget sodacan-sized lights have been very popular. Manufacturer Thorfire helped to get the super bright light into production. This resulted in a budget and yet very powerful quatro LED flashlight. Amazing output and quality for the price! 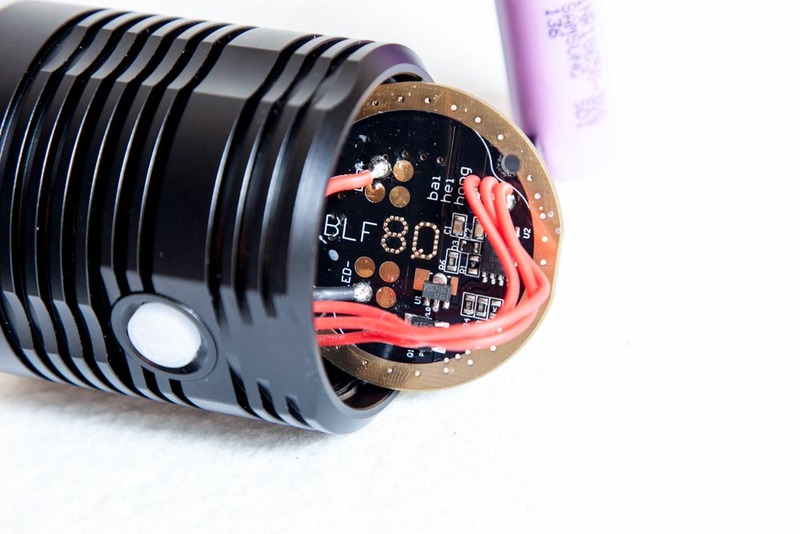 While the flashilght body is not very "thin", the BLF Q8 is however easy to operate with 1 hand. The knurling is well done and helps a lot with grip. I think this diameter is about the max of comfortable for my hands. There is no lanyard hole and no lanyard was included. The flat surfaces on the light also help as an anti-roll when placed on a flat surface like a table. 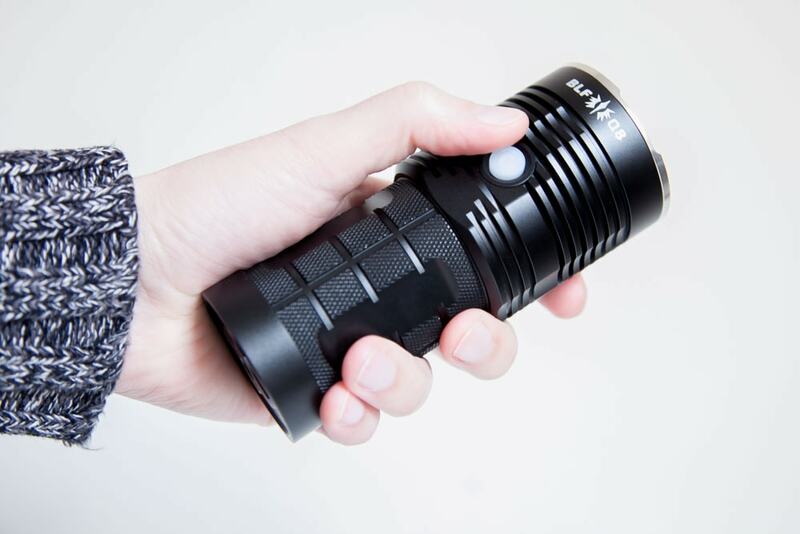 It's much easier to hold and use with 1 hand than its sibling, the BLF GT. 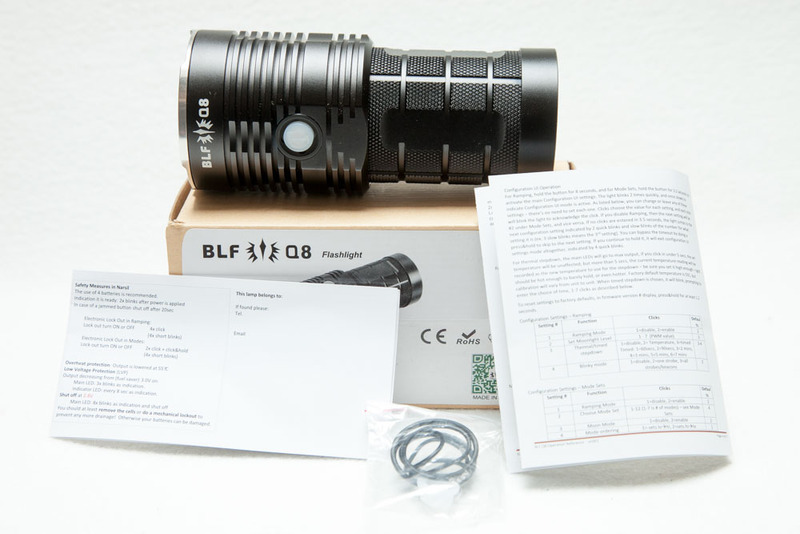 See the review of the BLF GT here. The build quality is definitely much higher than you would expect for a flashlight in this price range. All parts match well, and are machined very nicely. 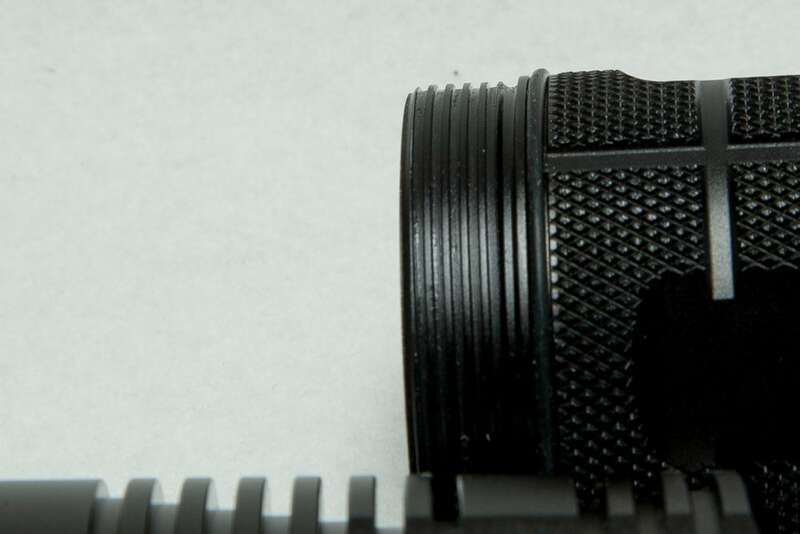 Across the flashlight the anodizing is done well. Not much more needs to be said. The threads are square and lubricated. The tailcap can also been taken off. Tip: you can fold up the included little "UI cheatsheet" and put it in the tailcap so you can alway revert to your preferred UI if you ever make a mistake by programming the UI! 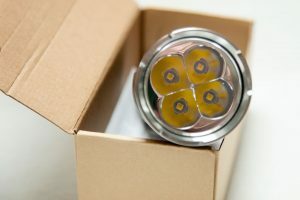 4 time Cree XPL Hd provide a beautiful piece of neatral white light. 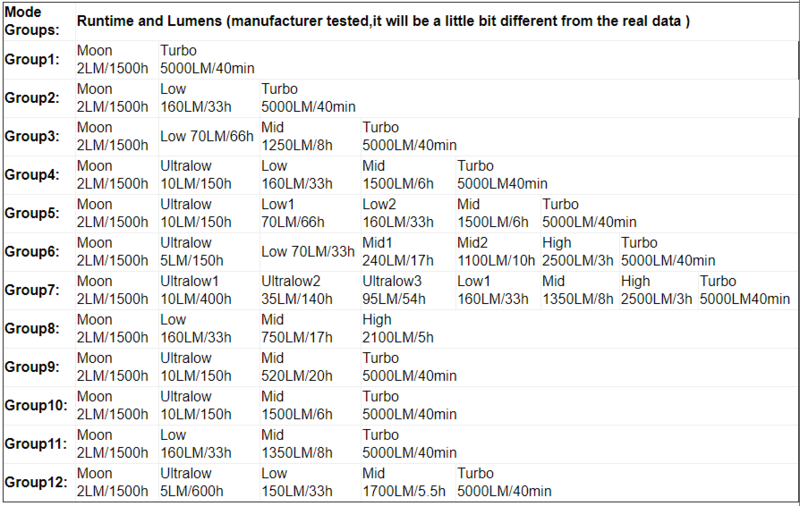 According to the specs that mean a Light temperature of 4750K-5000K. 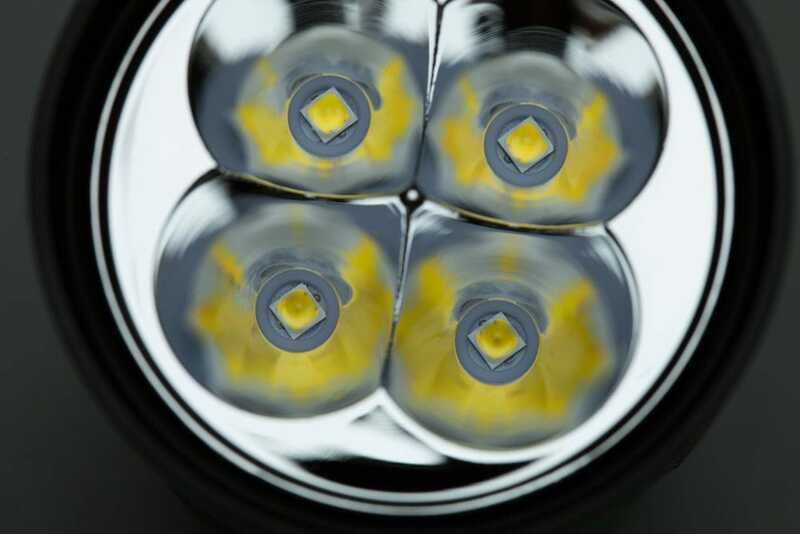 The quatro reflector (on the BLF Q8 4x LED) is smooth as silk, and made of plastic! It has a glass lens and is 54.9 mm wide and 2.8 mm thick according to my own measurements. The stainless steel bezel will make it a little more impact resistant . 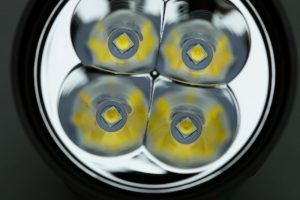 The dimensions of the light are almost the same as the original SkyRay King, and the also very popular Supfire M6 among budget minded flashoholics. The tailcap is flat so it can make it tail-stand very stable and can therefore be used with a diffusor as a camping light. Most of the 18650 flashlight reviews I did are multi-cell flashlights. Ramping or modes? The Q8 gives you both! The standard UI for the Thorfire Q8 is ramping. This means that when you press-and-hold the electronic switch, the light will smoothly ramp up the output to max, and stops when ramping when it reaches full output. Release the button and press-and-hold again for ramping to the minimum output. When reaching the Max and Minimum brightness level the light will flicker shortly to indicate you reached the end. Release the switch when at your desired brightness. This output will be automatically saved as the "mode memory". Note! If you ramp the Q8 and you keep pressing the button even when it is in full output, you will enter the programming mode, which you may not want to enter. So be careful to release the button when at full max or min!!! For ease of use, I would recommend using the standard ramping mode only, unless you are familiar with the driver's NarsilM firmware, and how to change mode sets. 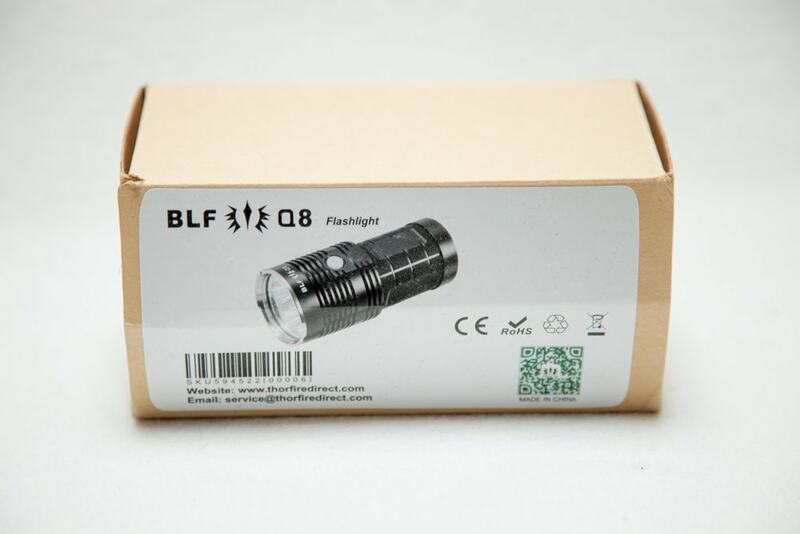 Please check out the complete explanation of BLF Q8 driver's firmware here. I have to admit that it is no fun to have to figure these settings out when you have no access to the manual. Although it is one of the greatest pieces of firmware out there, it is also something you can break your head over, as I did. The explanations are helpful, but are still too complicated for the average Joe! 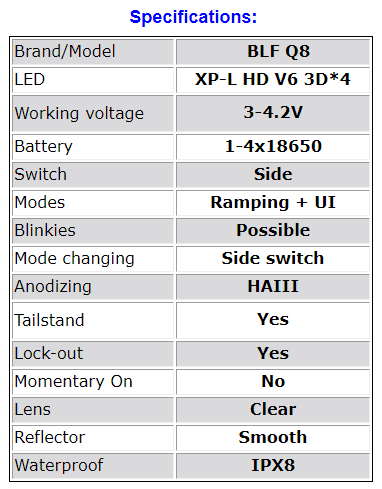 See the explanation of CPF/ BLF member Walkintothelight how to change mode sets. This makes more sense than just reading the info. The firwmare is used so you can have the lowest output possible. If you start ramping and release the button the light will either flash 1 or 2 times. 1 time indicates the use of only the 7135 and 2 times is FET + 7135. Behind the translucent switch cover is a mini LED built-in. It is lit when the light is turned off, this is a default setting. If you want to turn this backlight off (temporarily) simply press-and-hold the button so it starts ramping and quickly release and click again. This will turn the backlight off, but its only temporary. Next time you use the flashlight, it will be back on again. In programming mode you would be able to turn it off completely, but you have to follow the directions to do so. The battery check can be entered by a triple click from Off. The light will start blinking. The first blinks before the pause will indicate the Voltage. and after the short pause will indicate the decimal Voltage. And if the light blinks: 3 times (pause) 7 times. It means 3.7 Volts. You can enter Strobe mode (when enabled) by double clicking when in Max output. You can enter this mode by clicking 4 times when the light is off. And again 4 times to go return to normal operation. My advice is to lock out by twisting the body from the head to break the electric contact if you store the light for a longer period of time. Using the backlight will run down the batteries in about 30 days. Enter with holding the switch 8 seconds when in ramping mode. Or 3.2 second when in a mode group. Once you are in programming mode, you will have 2 sets of blinkies every time you can enter a setting. Its a very fast 2-flashes, preceded by a number of slower flashes. Please look at the manual for all the options. Please note that they differ if you are in Ramping mode or in Group mode! 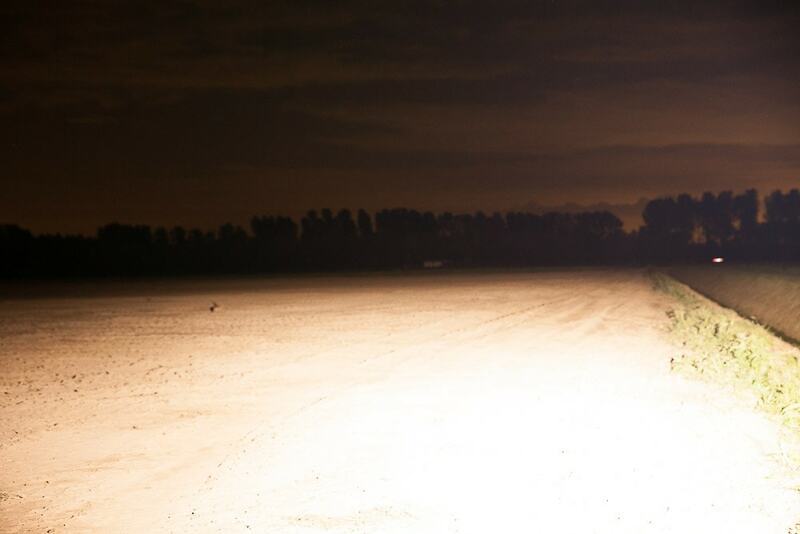 Looking for a 5000lm professional flashlight for a budget price? You better take notice then. You need some 18650 lithium-ion batteries, and although flat top batteries work, button top batteries are recommended! In case you don't have a good battery charger yet, this is the time to get one! Please don't buy one on ebay because they are cheap! Just don't. 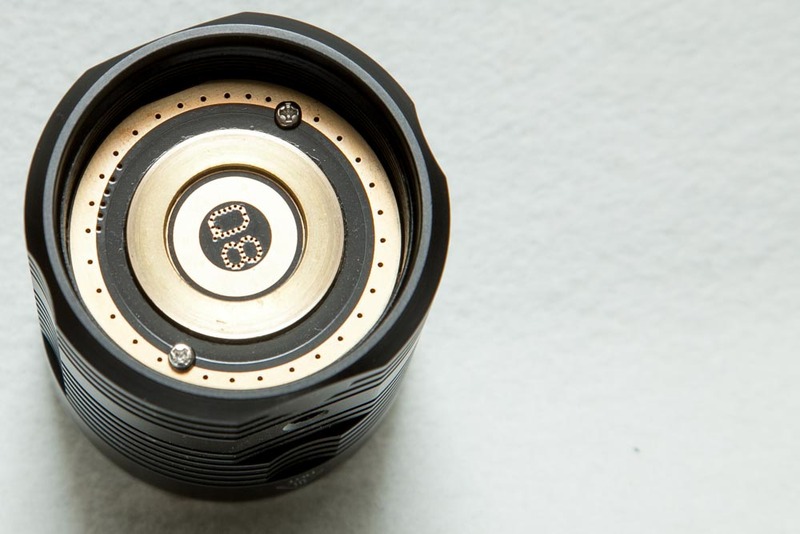 Especially if you are going to expand your flashlight collection and batteries, you better look for a good charger. This is tested by Tom E, the maker of the NarsilM firmware. If you want to have the max output go with the Sony VTC6 batteries. But I assure you that you won't be able to notice the difference between 6000 lumens for the Sony and 5500 lumens with the Sanyo GA flat top batteries. You can do a spring bypass and get another extra 300 lumens, worth it? You decide. 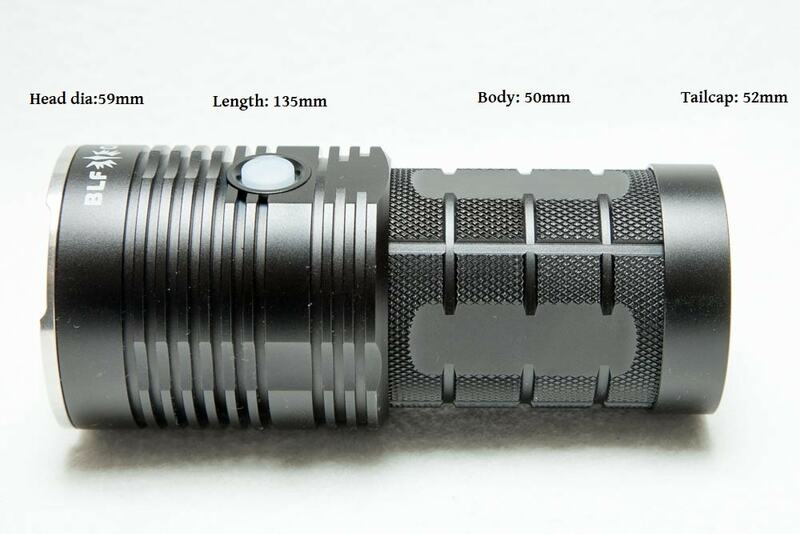 It is a super bright led flashlight for close to $50. 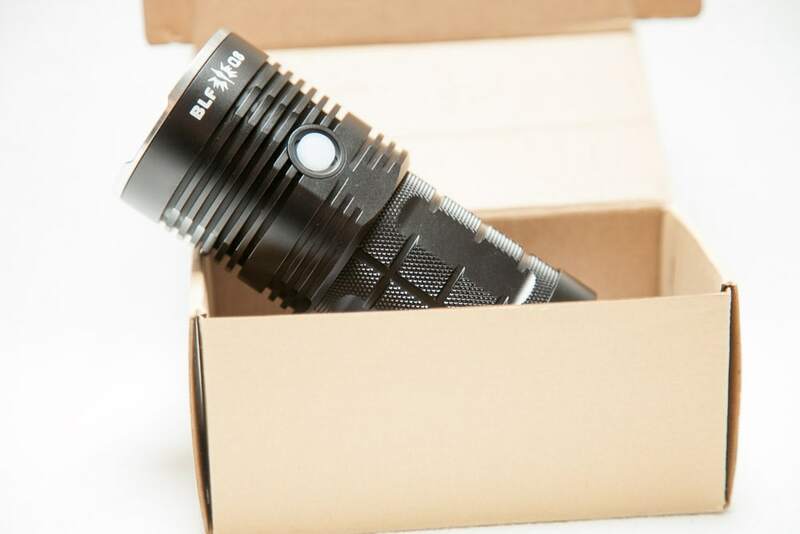 The BLF Q8 has been added to the Flashlight of the Year 2017, as well as to the Brightest flashlights available being the winner of the brightest budget flashlight. I tested it with Samsung 30Q flat top batteries. In Tom E's overview you can see that would equal about 400 meters ( 1312 ft / 0.248 miles). Backlight, this can be a con as it will draw some extra battery juice. One of the best budget flashlights that pump out 5000+ lumens with the right batteries. I would give it a 4.5 stars because of the UI. I had it a few times into programming mode accidentally. Other tha that? Not much can beat this around $50!!!! WARNING: Amazon sells flat-top batteries, although they work in the BLF Q8, button top batteries are recommended for long time use.